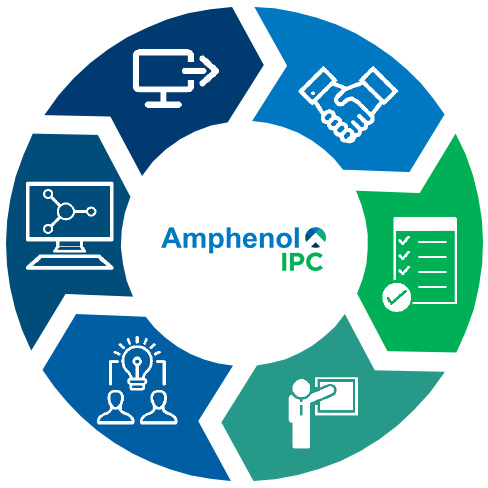 Our Collaborative Engineering Process starts with a detailed analysis of your desired design performance (electrical, mechanical, thermal), agency certifications, and qualified vendor listings (QVLs). Access our Busbar and Cable Ampacity Calculators, Design Guide Tables and Wire Size Charts. 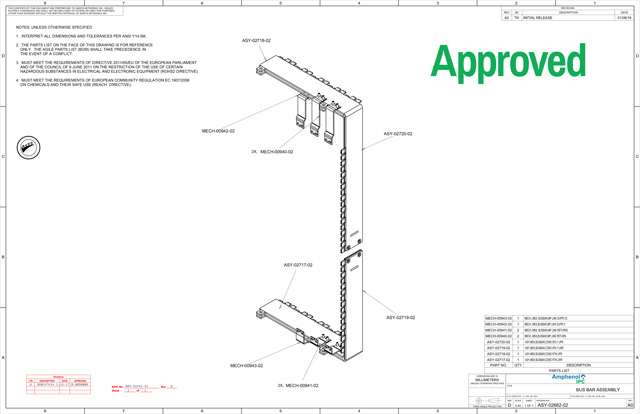 From there, our designers complete a thorough compliance matrix validation and create detailed 3D models, DFM (design for manufacturability), and DFT (design for test) based on optimal materials, construction methods, mounting/strain relief methods, and plating methods for a preliminary design review. 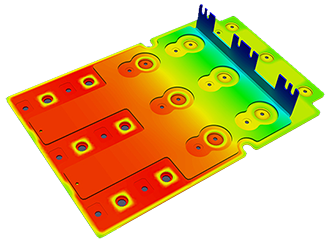 To ensure proper electrical, mechanical, and thermal functionality, our extensive capabilities in multiphysics simulation allow us to evaluate designs and test performance characteristics such as inductance, partial discharge, thermal dissipation, electro-magnetic mapping, current density and IR drop, conductor thermal behavior, and contact resistance. The proposed design solution is then sent to our customers for verification and approval in anticipation of releasing for preliminary build phases.